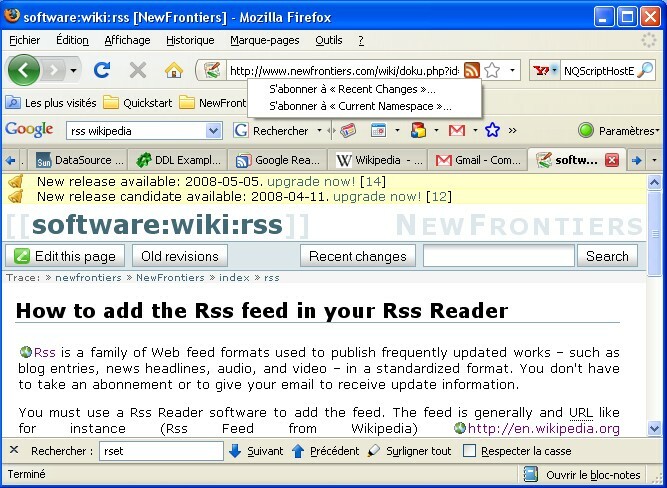 You must use a Rss Reader software to be able to read the last update. Personally, I use the Google Reader Software because it's a web-based application and you can in this way access it from anywhere (in the cloud). When you have the URL feed, you can then subscribes to a feed by entering the feed's URI into the reader. Don't forget to change in the URL “username” and “password” by your own credential.